When an individual is harmed as a consequence of another party’s negligence or recklessness, they may be able to seek justice for this wrong through a civil lawsuit. If this action is successful, it can result in the obtainment of considerable financial compensation that is necessary to address medical bills and other damages. Given the importance of the matter, a prospective plaintiff must ensure that he or she retains an attorney who can be trusted to serve their best interest and capably handle all aspects of a case. Asking some basic questions can help you to identify the right lawyer for you. If you are currently considering a personal injury lawsuit but are uncertain about the validity of your case or the potential benefits of litigation, do not hesitate to contact the Fort Lauderdale personal injury attorneys of The Winston Law Firm by calling 954-475-9666. How have you fared in cases similar to mine? How long do you think my case will last? Will you be readily available for the duration of my case? 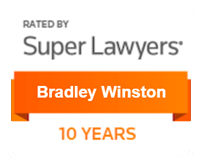 Are you prepared to ensure that awarded compensation is paid? The answers to these questions will give you insight into how an attorney serves clients before, during, and after a case. You should not have to cope with the aftermath of an accident alone, and we can help you to seek the financial compensation you are due when another party’s negligence or recklessness has caused you harm. 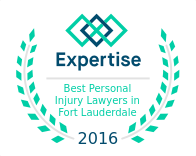 Contact a Fort Lauderdale injury lawyer of The Winston Law Firm at 954-475-9666 today.